To us, one of the best markers of our success is the satisfaction and loyalty of our customers. 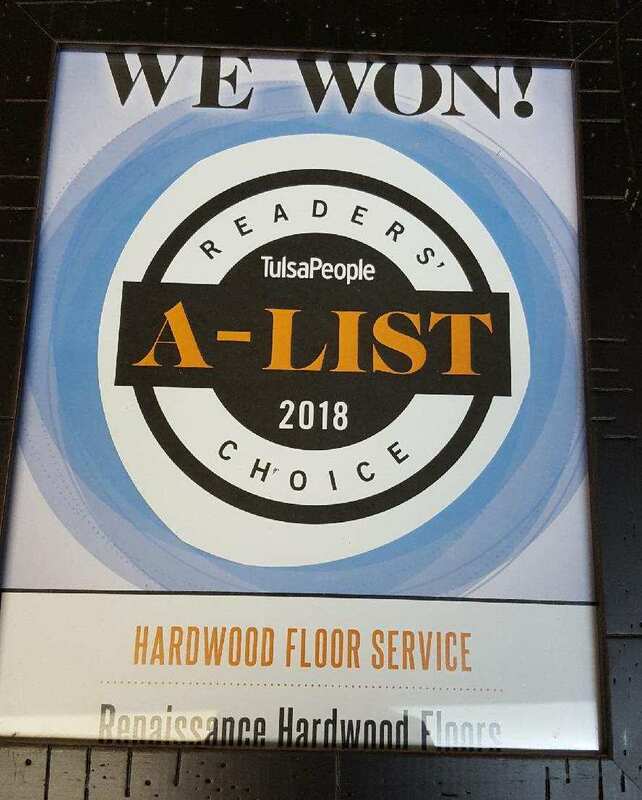 That’s why we are thrilled and honored to have been voted Number One in Hardwood Floor Service in the 2018 Tulsa People A-List! An annual survey hosted by Tulsa People magazine, the A-List has come to represent the best-of-the-best of Tulsa area businesses as readers vote for their favorites in a variety of categories. Many people consult the A-List when they need a particular product or service (from local stores to construction services to a nice restaurant) to see which companies other Tulsans recommend. Needless to say, being on this list is a great honor because it means customers have been impressed enough to vote for you. Topping the list in your category is an even greater honor. We want to thank all of our customers who believe in us enough to recommend us on this list. You have helped make us number one in hardwood flooring! And we will continue to earn this honor every day—as we have done for decades—by striving to provide unparalleled quality, craftsmanship and service to every customer.